Every Thanksgiving, we look forward to hosting intimate gatherings with friends and family. There is just something about getting together with our closest friends over a mutually prepared meal, right before everyone goes into full hibernation, that puts us in the festive mood. To help encourage lively conversation, we like to provide a few curated libations that fit the theme and flavors of the evening. 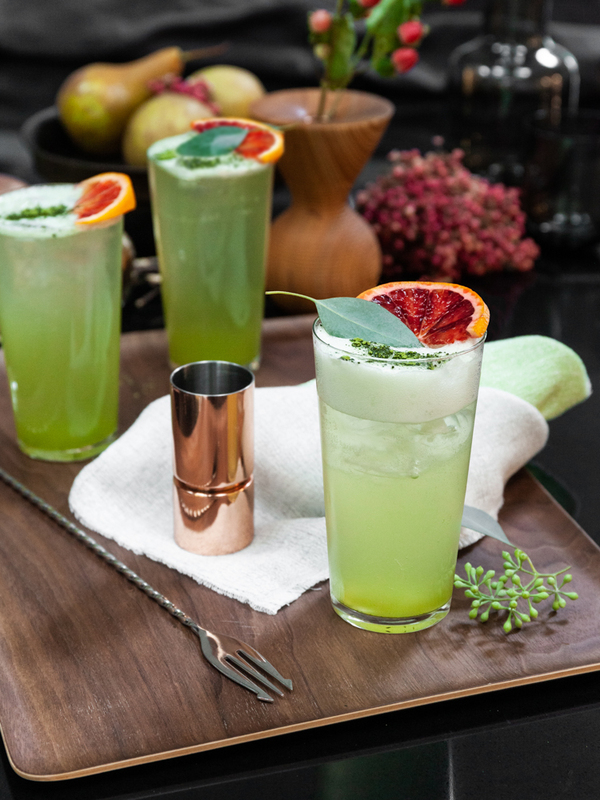 This Matcha Gin Fizz hits all of the right notes for a festive option. It’s lightly sweet, easy to enjoy throughout the evening, festively colored, and a ton of fun to whip up with friends. The addition of matcha simple syrup provides a unique vegetal flavor profile and is an easy way to set your drinks apart. Combine 1 cup sugar, 1 cup water, and 2 tsp. culinary matcha in a saucepan over medium heat. Whisk until matcha and sugar are thoroughly incorporated. Store in an airtight container for up to 2 weeks. Garnish - For color, not flavor. We’re using blood orange slices and a bay leaf borrowed from our wreath. 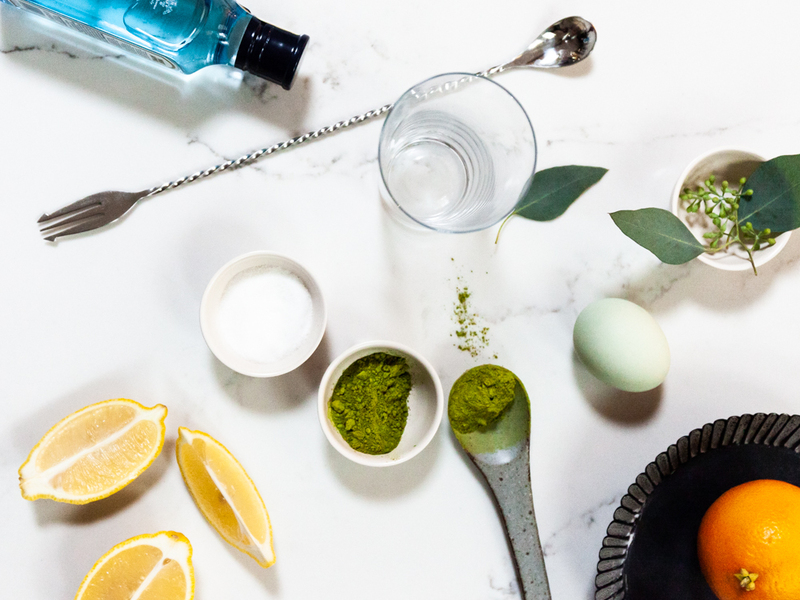 Add gin, lemon juice, matcha simple syrup, sugar, egg white, and a few pieces of ice to a cocktail shaker. Shake vigorously. Egg whites are largely water and proteins. Shaking helps unravel the proteins and incorporate air. The sugar, citrus, and egg white all interact to create the classic gin fizz mouthfeel. Strain into a highball glass half-filled with ice.